As mentioned last week in Part 1, we are breaking this into a 2 part series. Bottom 7 was last week. Top 7 this week. As always, reverse skating direction. Batting – Mushfiqur Rahim – ICC World ODI Ranking – 29, Games – 140, Runs – 3153, HS – 117, Ave – 28.92 and SR – 71.35. Bowling – Shakib Al Hasan – ICC World ODI Ranking – 4, Games – 141, Wickets – 182, BB – 4/16, Ave – 27.92, Econ – 4.26 and SR – 39.20. Batting – Mahmudullah – ICC World ODI Ranking – 45, Games – 6, Runs – 365, HS – 128*, Ave – 73.00 and SR – 81.83. Bowling – Shakib Al Hasan – ICC World ODI Ranking – 10, Games – 6, Wickets – 8, BB – 4/55, Ave – 37.25, Econ – 5.16 and SR – 43.20. Bangers definitely benefitted from the untimely demise of English Cricket but still punched above its weight, especially given the tournament was away from the comfy confines of the sub-continent. Wins against Afghanistan, Scotland and a big win over England with losses against Sri Lanka and New Zealand and a rain abandoned match against Australia was a fair haul for the World Cup and they were competitive in every single match. Having said that, they were soundly beaten in the quarter-finals by India but they certainly justified their promotion to Test playing nation with another sound performance. Batting – Misbah-ul-Haq – ICC World ODI Ranking – 15, Games – 155, Runs – 4772, HS – 96*, Ave – 42.99 and SR – 73.65. Bowling – Mohammad Irfan – ICC World ODI Ranking – 20, Games – 40, Wickets – 57, BB – 4/33, Ave – 29.92, Econ – 4.89 and SR – 36.60. Batting – Misbah-ul-Haq – ICC World ODI Ranking – 12, Games – 7, Runs – 350, HS – 76, Ave – 50.00 and SR – 75.10. 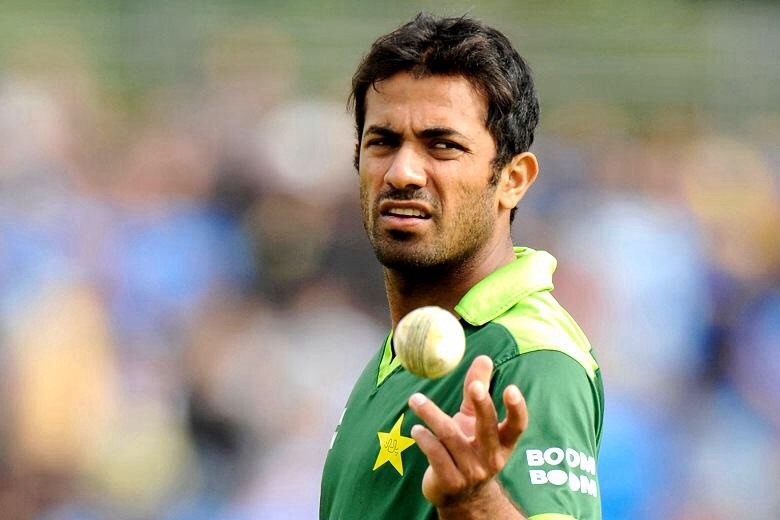 Bowling – Wahab Riaz – ICC World ODI Ranking – 72, Games – 7, Wickets – 16, BB – 4/45, Ave – 23.00, Econ – 5.56 and SR – 24.80. I didn’t really expect much from Pakistan in this World Cup. The team had more question marks than the average Pakistani side. Losing the bowling options of Mohammad Hafeez and Saeed Ajmal before a ball was bowled was quite the blow. I couldn’t see where runs would come from apart from Misbah and couldn’t really see where wickets would come from apart from Irfan. They didn’t repeat the heroics of 1992 but they still played above expectations. Wins against Zimbabwe, UAE, Ireland and South Africa were sublime but it was the losses against India (amazing crowd for that match) and the West Indies which really consigned them to almost certain elimination against Australia. It ended there as expected and if you looked at the scorecard after the match you would think Australia cantered to a victory (Pakistan 213 and Australia 4/216) but when Wahab Riaz had Michael Clarke out and Australia was 3 for 59 anything could have happened. The spell from Wahab was devastating. He should have had Shane Watson on a number of occasions. Both Watson and later Maxwell were dropped. In the end it was still curtains for Pakistan but at least they had fired some shots in anger. Batting – Kumar Sangakkara – ICC World ODI Ranking – 4, Games – 397, Runs – 13,693, HS – 169, Ave – 40.99 and SR – 78.08. Bowling – Rangana Herath – ICC World ODI Ranking – 9, Games – 67, Wickets – 71, BB – 4/20, Ave – 31.07, Econ – 4.36 and SR – 42.70. Batting – Kumar Sangakkara – ICC World ODI Ranking – 2, Games – 7, Runs – 541, HS – 124, Ave – 108.20 and SR – 105.87. Bowling – Lasith Malinga – ICC World ODI Ranking – 29, Games – 7, Wickets – 12, BB – 3/35, Ave – 29.50, Econ – 5.56 and SR – 31.80. Sri Lanka had a fair tournament and performed well for a World Cup away from the sub-continent. I expected that they would knock over everyone except Australia, England and New Zealand and be knocked out in the quarter-finals. They did slightly better than that and knocked over England as well but were soundly beaten by South Africa in the quarter-finals. Their batting was their strength, however, South Africa rifled them out for 133 which was a sad end for the ODI career of Kumar Sangakkara, arguably the best batsman in the tournament. They will be looking to rebuild for the next World Cup. Hard to see them being this competitive but 4 years is a long time. Batting – AB de Villiers – ICC World ODI Ranking – 1, Games – 179, Runs – 7459, HS – 149, Ave – 52.16 and SR – 97.16. Bowling – Dale Steyn – ICC World ODI Ranking – 3, Games – 96, Wickets – 151, BB – 6/39, Ave – 25.14, Econ – 4.80 and SR – 31.40. Batting – AB de Villiers – ICC World ODI Ranking – 1, Games – 8, Runs – 482, HS – 162*, Ave – 96.40 and SR – 144.31. Bowling – Morne Morkel – ICC World ODI Ranking – 9, Games – 8, Wickets – 17, BB – 3/34, Ave – 17.58, Econ – 4.38 and SR – 24.00. Already made my thoughts known on the whole Chokers tag here and here so I won’t go over that ground again. Having said that, I don’t think South Africa really performed to the level that they are capable of during the tournament. They were more inconsistent than usual succumbing meekly to both India (crashed out for 177 with run outs not helping) and Pakistan (bowled out for 202, the Pakistani pace attack gave them fits). Either that or I overestimated their capability. The game against NZ, where they were knocked out, was a classic. If they had played better in the earlier stages of the tournament that would have exposed them to the Australian pace attack in Sydney in the semi-final which would probably have had the same effect. We will never know now. Morkel and de Villiers wouldn’t be out of place in any World XI. Imran Tahir was also world class. Batting – Virat Kohli – ICC World ODI Ranking – 3, Games – 150, Runs – 6232, HS – 183, Ave – 51.50 and SR – 90.17. Bowling – Ravindra Jadeja – ICC World ODI Ranking – 14, Games – 111, Wickets – 134, BB – 5/36, Ave – 32.76, Econ – 4.81 and SR – 40.80. Batting – Shikhar Dhawan – ICC World ODI Ranking – 6, Games – 8, Runs – 412, HS – 137, Ave – 51.50 and SR – 91.75. Bowling – Mohammed Shami – ICC World ODI Ranking – 11, Games – 7, Wickets – 17, BB – 4/35, Ave – 17.29, Econ – 4.81 and SR – 21.50. In the modern International Cricket Schedule there is little time for the full tour. It has been replaced by shorter tours which are typically 3 Test, 5 ODI and 2 T20 matches with a maximum of 1-2 lead up games. There is a lot to be said for India’s approach to the summer. India came to Australia for 2 lead up games, 4 Tests and 6 ODIs as preparation for the World Cup in the same region and reaped the benefits. They didn’t look great in the lead up ODIs but they looked great during the World Cup going undefeated right until the semi-final where it all fell apart. Even then their performance in the semi-final must be revised based on Australia’s performance in the final. India did well to reel Australia back in and keep them to 328 when a billion looked likely. Likewise, when they batted keeping the match as close as they did was also better than most nations would have done. The Australian pace attack was in top form. When MS Dhoni tried to get India as close as he could prior to taking risks it was against the best attack in the competition. Sure enough when he took his first calculated risk he lasted 2 balls. Australia gave him nothing to play at. Kohli, Dhawan and Dhoni were the standouts with the bat as expected but it was with the ball that they really exceeded expectations with Shami (17 wickets), Yadav (18), Ashwin (13) and Sharma (13) the stars. In the end it was a great campaign. They showed real spirit. Batting – Kane Williamson – ICC World ODI Ranking – 6, Games – 65, Runs – 2452, HS – 145*, Ave – 46.26 and SR – 82.78. Bowling – Tim Southee – ICC World ODI Ranking – 26, Games – 85, Wickets – 116, BB – 5/33, Ave – 30.96, Econ – 5.21 and SR – 35.60. Batting – Martin Guptill – ICC World ODI Ranking – 22, Games – 9, Runs – 547, HS – 237*, Ave – 68.37 and SR – 104.58. Bowling – Trent Boult – ICC World ODI Ranking – 6, Games – 9, Wickets – 22, BB – 5/27, Ave – 16.86, Econ – 4.36 and SR – 23.10. After some time has elapsed NZ will realise they had an awesome tournament and extracted every last ounce out of their team. There were so many stars for them. McCullum set the tone with his batting and captaincy. Guptill, Anderson and Elliott also starred with the bat. Grant Elliott steering the Kiwis home against South Africa will be remembered for a long time as a career defining moment (and his superannuation after retirement – guest speaker anyone?). Their pace attack was so good (apart from the Final, where they weren’t able to put much pressure on Australia) that Kyle Mills couldn’t find a place in the team. Boult and Southee in particular were devastating capably supported by Vettori at his wily best. In the end Australia’s pace attack was too big, too fast and too strong. The NZ top order couldn’t handle it. I remember turning to my wife when Brendon McCullum was bowled off the third ball and saying ‘well that is the end of New Zealand’s hopes’. Probably the thing that will hurt most for New Zealanders is that the perfect alignment of events (great team, good form and local conditions) doesn’t come along that often for the Shaky Isles. There is always 2039. Honestly, it is like waiting for Halley’s comet. Batting – David Warner – ICC World ODI Ranking – 29, Games – 54, Runs – 1702, HS – 163, Ave – 32.73 and SR – 85.18. Note – At the start of the tournament, George Bailey (10), Aaron Finch (12), Glenn Maxwell (17), Shane Watson (19), James Faulkner (21) and Michael Clarke (28) were ranked higher than Warner, but I deemed Warner crucial to Australian hopes in the tournament. Bowling – Mitchell Johnson – ICC World ODI Ranking – 5, Games – 145, Wickets – 224, BB – 6/31, Ave – 25.50, Econ – 4.82 and SR – 31.70. Batting – Steven Smith – ICC World ODI Ranking – 14, Games – 8, Runs – 402, HS – 105, Ave – 67.00 and SR – 91.57. Bowling – Mitchell Starc – ICC World ODI Ranking – 1, Games – 8, Wickets – 22, BB – 6/28, Ave – 10.18, Econ – 3.50 and SR – 17.40. I’ll admit it, I underestimated this Australian side (again). I just saw too many flaws. I saw a side that could knock up 450 every other day but be scarpered for 150 against the right attack (which happened against NZ in Auckland). Their pace attack was very effective but I didn’t know whether they could maintain it for a whole tournament. In the end it was all academic. The batting was enough. Smith, Maxwell and Warner were the best for the Aussies but everyone put their hand up at one stage or another. 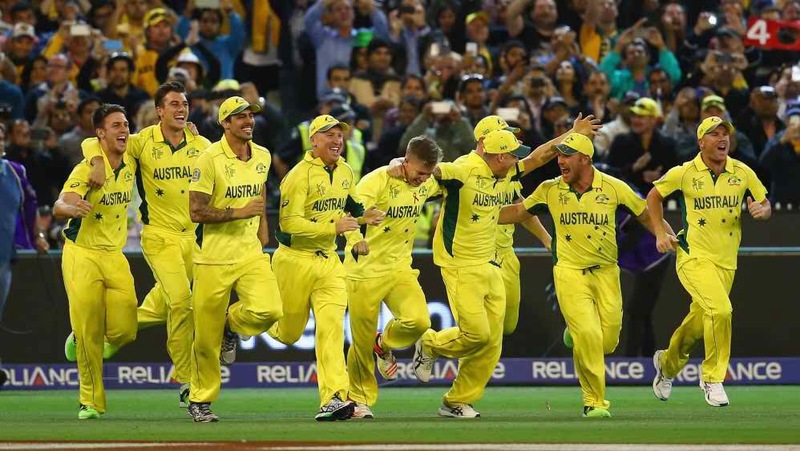 Their bowling really exceeded expectations though and it was the attack that really won the World Cup for Australia. Faulkner and Johnson were sublime but Starc was other-worldly. Everyone will remember what left handed pace bowling from a height looks like. NZ and India are probably still having nightmares about it. Unplayable. The Baseball season has started. Sport every day. Every single day. March Madness. Kentucky almost went all the way undefeated. Duke eventually got across the line against Wisconsin. Now begins the draft speculation in earnest. GSW heading into the playoffs with a head full of steam and home court for the whole playoffs. I’m hoping that they can win it all and that Bogut can once and for all throw the injury monkey off his back. First Team All-Defense would be nice too. Broncos vs Roosters – That was an epic game. It had a bit of everything. James Roberts – Tries – 3, Run Metres – 201m, Try Assists – 1, Tackle Breaks – 4, Tackles – 14, Offloads – 0, Line Breaks – 1, Line Break Assists – 1, Errors – 2, Penalties Conceded – 0 and NRL teams interested in him if he can keep out of trouble – 16. George Burgess (Rabbitohs) for Andrew Fifita (Sharks) – Pretty simple. Fifita needs to stop dropping people on their heads. Added bonus of starting to Origin-proof my team. Martin Taupau (Tigers) for Kelepi Tanginoa (Cowboys) – Using some spare cash plus Lone Scout gave the tip that Tigers, Eels and Rabbitohs have the best bye coverage over the Origin period, so there’s that. Holding on to Shaun Fensom against my better judgement too. Playing Chris Grevsmuhl as he is into Souths starting line up. Dropping Kierran Moseley as he is back to sharing with Beau Falloon so his numbers will drop off. Sam Lisone’s numbers are dropping off as well so he is back to the travelling reserves as well. Jamie Vardy (Leicester) for Bobby Zamora (QPR) – Just trying to get as many players on the field as possible. De Gea (Man U), Clyne (Southampton), Ivanovic (Chelsea), Terry (Chelsea), Sanchez (Arsenal), Eriksen (Spurs), Downing (West Ham), Hazard (Chelsea), Silva (Man City), Kane (Spurs) and Vardy (Leicester) with Hamer (Leicester), Austin (QPR), Bruce (Hull) and McShane (Hull) on the bench.